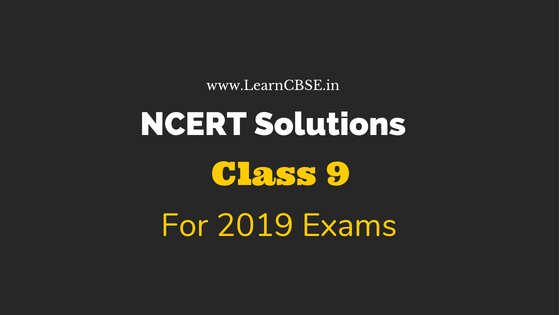 Get NCERT solutions for class 9 for all subjects: Maths, Science, Social Science, English & Hindi. We provide chapter-wise NCERT Solutions for class 9 for all NCERT books. NCERT Solutions for class 9 provide you with a quick way to complete your homework. All solutions are prepared by experts and easy-to-understand. So, whenever you need to complete your homework, prepare for exam or do a quick revision just use our NCERT solutions for class 9 and be assured for academic success. For quick access you can bookmark this page and use it whenever you need it. Do share NCERT solutions for class 9 with your friends to and help them with their homework and exam needs.